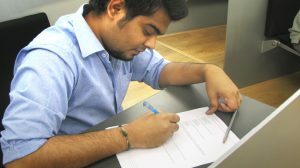 The below article is brought to you by SDA Bocconi Asia Center and written by Dr Shashank Prabhuto help aspirants in their test prep. He is a CAT 100 percentiler, CET Rank 1, IIFT 100 percentile. He had a scaled score of 249/360 in NMAT BY GMAC 2016 and 99 percentile in each of the sections and overall score. SDA Bocconi Asia Center accepts CAT, NMAT, GMAT, GRE for its International Master in Business. Over the last few years, when it comes to the Verbal Ability section of the CAT, the focus seems to have shifted from a balanced split to a lopsided one in favour of reading comprehension passages. With more than 70 percent of the section being focused on reading comprehension passages, it would be practically impossible to do well at the test if one neglects this part. Another reason to especially focus on this area is the fact that reading comprehension passages have been getting easier and no longer rely on abstract concepts and dense theories to shatter an aspirant’s confidence. The contribution to the final sectional score from the reading comprehension part is more than 80 percent in most cases and so, it is a good way of ensuring that you score well in the verbal ability section. To sum it up, it requires a reading habit to get better at reading comprehension. Contrary to what is commonly believed by the aspirants, reading speed has got little to do with success in solving reading comprehension questions and it is more a function of how well can one understand what the author is trying to say. So, if you keep to your strategy, read from as diverse a set of topics as you can and solve questions from good sources (GMAT, LSAT practice tests, past CAT papers), you should be good to go. SDA Bocconi Asia Center, like other Top b schools in India, offers International Master in Business for freshers and young executives. The program is taught by international faculty from SDA Bococni, a top ranked business school in Italy. 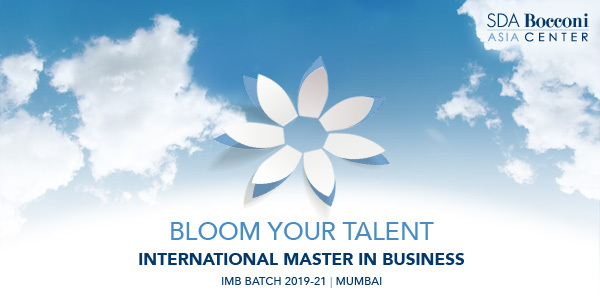 It includes 4 months Milan semester, Diploma by SDA Bocconi in Italy and access to the Bocconi Alumni Network making it a top post graduate program in Mumbai.